This weekend I attended the Texas Style Council Conference. Today's outfit came from the last day of the event, Sunday, which had the bulk of the activities, speakers, etc. Meeting the founder of ModCloth, Susan. I totally love ModCloth and have hearted them for years. I have also seen them slowly integrate some plus sizes. I was totally excited to know that they were interested in plus size and I even discussed some of my reader's concerns with the size chart. Susan explained that the sizes are more Jr's plus sizes. The great news is that they will be expanding their plus with a size chart that is more comparable to the what us 'standard' plus girls can wear and fit. Dishing with Tina from TminusTplus, Reiko from God's Favorite Shoes, Julie from Rosy + Tart, Sara from FitFashionFoodie. Sara, Tina, & Julie taught me that men can be taught to clean up after themselves (hey...I didnt know it was possible) and some methods for getting them to do so. After a long drive back from Austin I came home a sink full of dirty dishes and piles of clothing on the floor...I think Im getting a little steamed thinking about it. Although, I don't mind doing the bulk I am NOT the maid. So needless to say...we will be having a chat and the training will begin! I am open to other tips if anyone else has any...lol. 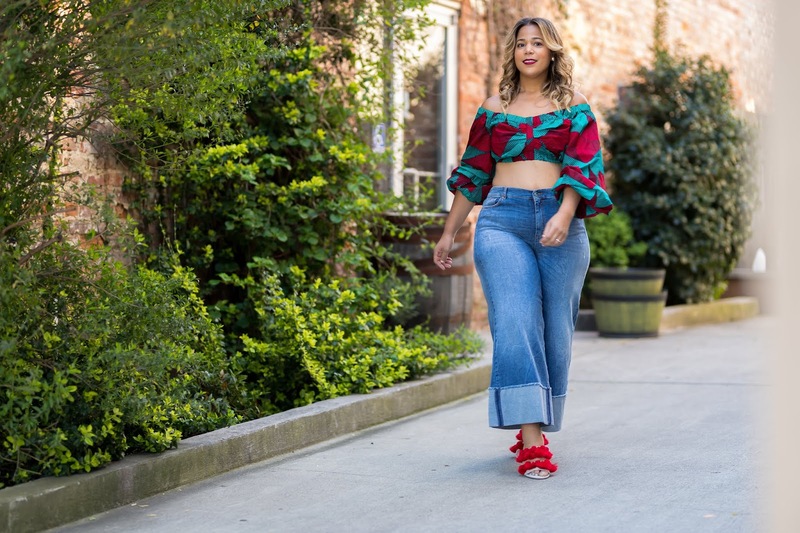 I got to admire some amazing bloggers - Elissa from Dress with Courage - she is such a cool mom, I hope I can be as cool as her when I am a mom - she always looks fly (another cool point) and I have yet to see her in mom jeans...LOL. Asma from Haute Mulimah - she brings such a totally different, but equally as fabulous angle for fashion. No matter how different we think we are...we are reallllllyyyyy similar. And she's really pretty...LOL. Sponsors included: TIKKR watches, Lulus.com, Discount Creative, ShopStrut.com, Pinkkissies.com and more. Ooooh and I was so excited to pick up a total of 3 new reusable shopping bags!!! I picked up a cute little necklace from Lulus.com (a sponsor) and wanted to do a mini giveaway for my readers. I will choose the winner Friday. You can enter up to 3/17/11 11:59pm. All you need to do to enter is be a follower and comment your name and email address. Look out for one more post on the weekend. I wanted to divide it up because it would be too much to put into one post. Next post I will go in depth of the weekend and the activities and why I will be going back next year! It looks and sounds like you had a blast. I wish I could of made it down there. i love the necklace... and next year im going! Looks like fun...I wish they would have one of these events in Ohio!! Love your outfit!!! TxSCC was so much fun and that striped dress looked so good on you! I live in Austin and I always miss out on the fun! LOL Darnit!! You looked so cute! @L. Michelle well there is always next year...it was really fun - you should totally come next time. 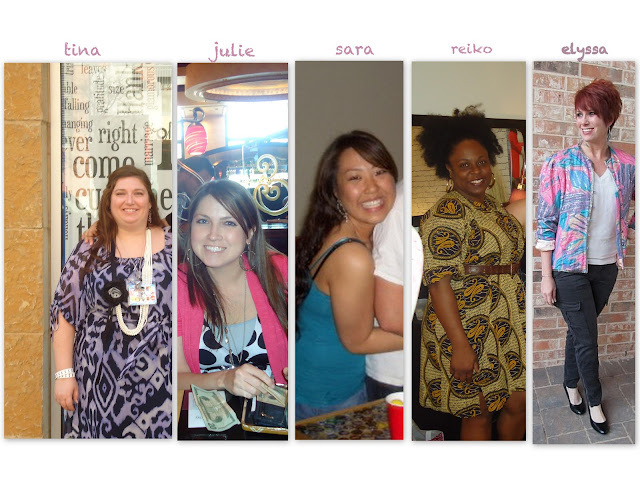 I am totaly glad you discussed that dreaded modcloth size chart with them. That thing is not jr.plus but whatever. Hopefully they make some changes. Um, I love you and I feel so special thanks to you!! I'm so glad we met and I look forward to staying in touch!! I loved your polkadot clutch. And I loved meeting you! 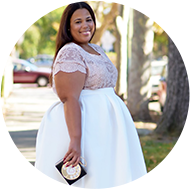 so excited to hear the Modcloth will be extending their plus sizes. i'm in love with modcloth. I have followed you for a year. It's soooo cool that you were able to meet the founder of ModCloth! I would love to entered to win:) I follow you through Google reader. I'm still concentrating on your outfit, lol I love it... and I'm coping it. Sssh! I have no shame. @Cynthia...no shame...I have copied an outfit or two in my day...sometimes something is so cute you just have to replicate it. Your outfit is amazing! The weekend sounded like so much fun. Wish I could have been there! @GFS ooohhh good...I didnt get any pics of me Saturday night. Look like fun. Your outfit is just darling. I'm such a sucker for stripes + you totally looked gorgeous dah-ling in your dress n blazer! I so hate I only dropped in at noon SUNDAY!! you know, reading about this past weekend makes me almost want to move to texas for next year's. sounds like so much fun! you look fab-dabulous in your stripes and polka dots. one of my fave pattern combocs. adorable. It sounds like such a fantastic time! I am really hoping to go next year! Also, that necklace is adorable!